MANILA, Philippines – With the support of the Senate, sugar industry stakeholders will send a number of recommendations to economic managers following the proposal to liberalize sugar imports. Agriculture Minister Emmanuel Piniol told reporters on Tuesday, February 12, that stakeholders have reiterated their position against the deregulation of sugar imports, as it will hit farmers and cane, 80% of them who benefit from the land reform. "The stakeholders said that if the import of sugar is removed or changed, it will be the first casualty Comprehensive beneficiaries of the agrarian reform program, "said Piniol with a mixture of Filipino and English. "They said it would have a huge impact on them and they even reminded us of the collapse of the sugar industry when the number of rebels grew in Negros." Confederation of sugar producers spokesman Raymond Montinola confirmed in a statement on Tuesday that 78,276 sugar producers are small farmers who enjoy agricultural reform which only plant on 5 hectares of land or less. "[I]The liberalization of the portfolio will be the death blow to industry as importers and industrial users can now lead to heavy subsidies, "said Montanola. "In fact, we will help the farmers of other countries, Wealther, and not the Philippines." While the Department of Agriculture (DA) and the Regulatory Sugar Manager (SRA) organized a meeting to make recommendations, Pinnol reiterated that they can not take a stand on the issues. "The district attorney will always be neutral about issues, we can not take [stand on a] Because we are part of the government, "he added. In terms of expanding support for sugarcane producers, stakeholders also sought to examine the allocation of the Sugar Industry Development Fund (SIDA). "They could not use SIDA funds, from P2 billion, it only became 500 million. The survivor is slow so we came up with measures [to solve this]"Finiol said in a mixture of Filipino and English. "[T]Hey has trouble meeting Landbank's requirements. So they feel the fund is there, but they can not access it. " 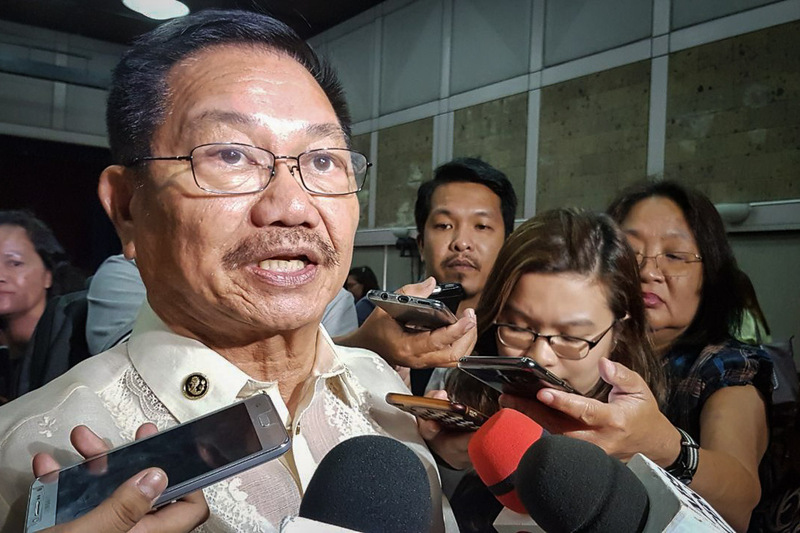 Given the fact that stakeholders find the requirements of the Bank of the Philippines land too difficult to sustain, Piñol said they asked that the Philippines sugar company revive as it was "more responsive to their needs." Instead of the government needing farm equipment and inputs through bidding, the SRA will be responsible for transferring funds to farmers' groups to buy what they need this year. For example, Piolol mentioned that the Kagayan Valley sugar cane farmers began to purchase fertilizers since 2016. Changing the way the SIDA fund is handled should improve the productivity of sugar cane farmers and make the industry more competitive as it cuts the bidding process for other necessary equipment and tools. Apart from this, stakeholders are asking that they be given access to high yield varieties to increase their yield. "They also want to expand the solar irrigation project to the sugar industry because they said that if the sugar plantations are irrigated, production doubles," Finiol added. Said on Tuesday that Piniol had written that President Rodrigo Duarte had approved the talks between the district attorney and the Israeli agro-industrial company LR for setting up solar irrigation systems in the Philippines. The LR Group offers to build around 6,200 units worth $ 44 billion. It will cover around 500,000 hectares of land in the next 3 years, added Piñol.